The Glenn Family Breast Center was established in 2013 through gifts from the Wilbur and Hilda Glenn Family Foundation. 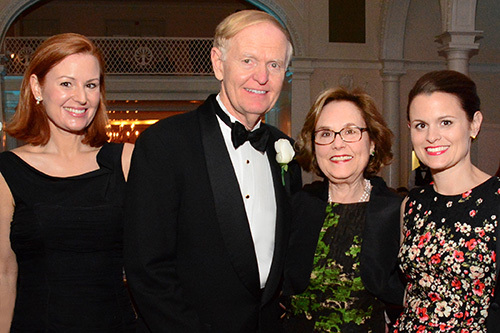 The Glenn family has been a steadfast supporter of Winship for many years, from chairing fundraising events, to directing major donations from their family foundation for the creation of a center focused on breast cancer research and care. 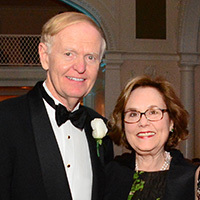 The Glenn Family Breast Center, Winship's first named center for a specific type of cancer, was established in 2013 through gifts from the Wilbur and Hilda Glenn Family Foundation. The Glenn Family Breast Center is dedicated to elevating breast cancer care through the careful alignment of research with patient-centered care, offering patients the opportunity to participate in clinical trials and tissue banking and also facilitates basic and translational research relevant to breast cancer. "While our gifts target breast cancer, we hope that others will invest in Winship's research and exceptional care for all types of cancer so many more families can be helped. Just as we benefited from investments made years before we were touched by this disease, we are confident that this investment will help future patients survive and thrive." The Glenn family was inspired to give by their appreciation for the care Winship provided in 2003 to their daughter, Louisa Glenn D’Antignac. They were gratified to find a research-based cancer center in Atlanta at the forefront of breast cancer research and treatment. The Glenn Family Foundation also established an endowed chair in breast cancer research in honor of Louisa and her sister Rand Glenn Hagen. The Louisa and Rand Glenn Family Chair in Breast Cancer Research isheld by Mylin Torres, MD, who serves as the director of the Glenn Family Breast Center.